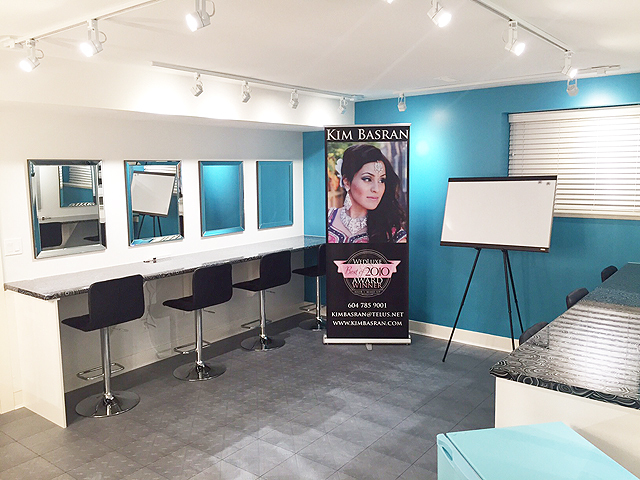 Kim Basran Studios makeup certificate course is a 36 hour program completed within a month. This program provides you with all the skills and knowledge you’ll need to become a successful artist. Once completing this course, you’ll be able to do makeup applications for parties, special events, and weddings. The Fundamentals of Makeup will be the pillars of becoming a successful makeup artist. After learning the basics of tools, products, and hygiene as well as colour theory, you will be able to apply makeup applications flawlessly. Listed below are the skills you will be taught during this program. The last day of the program will consist of learning how to pin dupatta, sari fittings, and finishing touches. 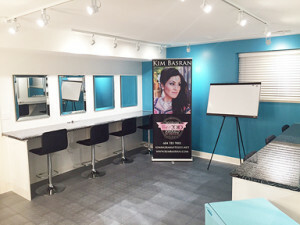 Kim Basran Studios hairstyling certificate course is a 36-hour program completed within a month. This program provides you with all the skills and knowledge you’ll need to become a successful hair artist. Once completing this course, you’ll be able to do hairstyling for parties, special events, and weddings. The Fundamentals of Hair will include how to work with different textures and lengths of hair. Students will learn the tools and products needed to style hair using curling irons, straighteners, roller sets, combs, brushes, sprays, waxes, bobby pins, and much more. Students will also learn hair sectioning and backcombing. In addition, students are required to bring in their own mannequin head with stand. All hair styles will be demonstrated by the instructor step by step, and each student will follow each step to recreate the hair style in class. Listed below are addition skills that will be learned. Students are required to practice the styles demonstrated in class on their own time and arrive to the next lesson with previous style recreated, so that instructor can review. At Kim Basran Studios we only use professional grade products that have been tried and tested on our own clients. The makeup and hair kits that you will be required to purchase are an additional charge. You will be purchasing the exact products and tools used by our master artist.